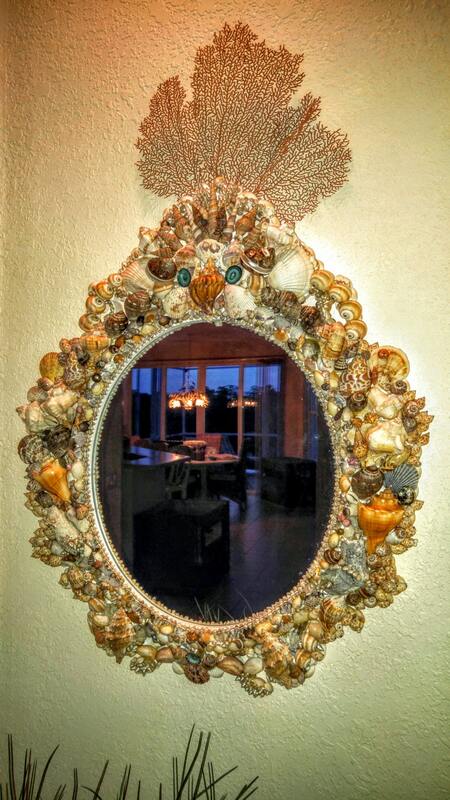 Stately, Seashell Mirror, Large, Baroque Style "The Gordon Drive"
Presenting "The Gordon Drive", exquisite seashell baroque style, estate mirror. Incredible attention to detail, meticulous marriage of locally sourced shells from the pristine beaches of Palm Island, and globally sourced beauties. Regally crowned by a natural sea fan. 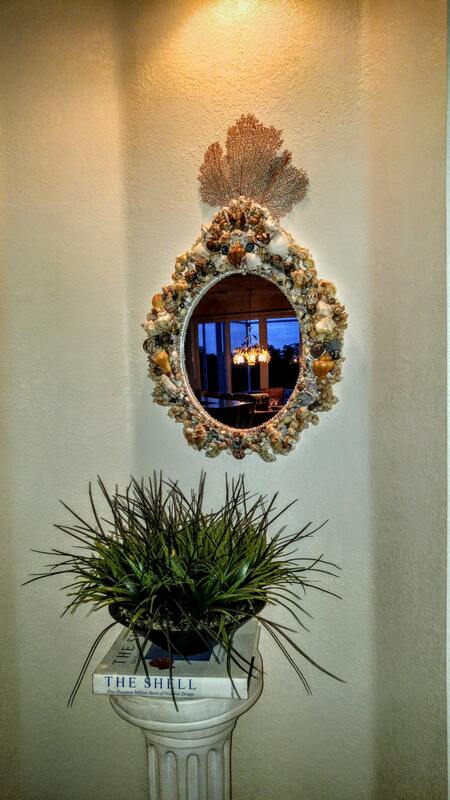 The end result, is a functional piece of fine, seashell art, uncompromised in any way. This mirror, is a statement piece, sure to bring the "wow" factor to your estate, business or yacht. THIS is THE mirror that sold the estate; befitting indeed, to it's iconic namesake. to complete. Starting price point for estate mirrors is $1,000. They are fragile and heavy,requiring extraordinary packing measures, to ensure safe delivery. Shipping and packaging charges may exceed $100, depending on destination. Please send me a personal message to walk through the shipping process together. Professional hanging encouraged, but not required. Personal design consultations with clients and designers are encouraged. PLEASE NOTE: THIS EXACT MIRROR IS NO LONGER AVAILABLE AS IT WAS SOLD. ACCEPTING CUSTOM ORDERS ONLY. PRICE WILL BE ADJUSTED DEPENDING ON CUSTOM SELECTIONS. PICTURE SERVES AS A PROTOTYPE FOR YOUR OWN, CUSTOM MIRROR.